The city of Chicago on Thursday afternoon released hundreds of pages of transcripts and hours of video recorded during March depositions made by the mayor and Chicago Police Superintendent Eddie Johnson in a wrongful death lawsuit brought by the family of Quintonio LeGrier against the city and CPD Officer Robert Rialmo. 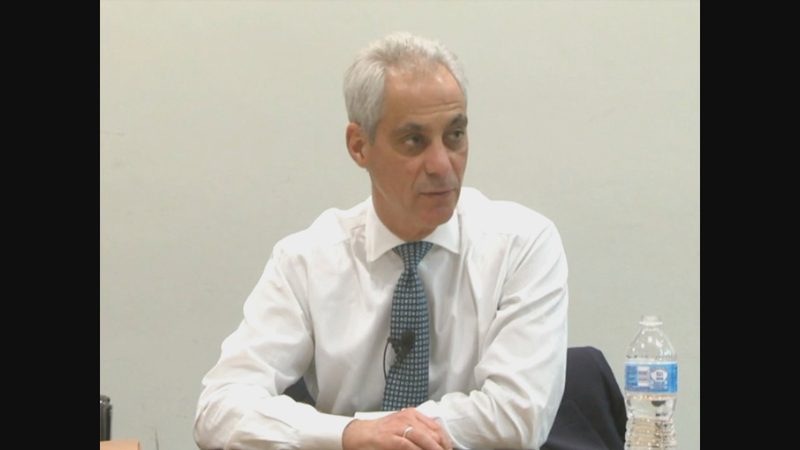 Emanuel repeatedly stated there is a “Chinese wall” in place between himself and the Civilian Office of Police Accountability – the CPD’s civilian oversight agency – preventing any sort of interference in the investigation. “And we’re in the middle of a process on a case specifically, and I don’t think it’s in my jurisdiction to make – weigh in on that because I think that’s inappropriate to the spirit of making sure there’s a Chinese wall,” the mayor said, according to the transcripts. Emanuel said that wall is in place “to make sure that the process is in a zone free of political influence or somehow any political impact in any way” and told attorneys he has not discussed aspects of the shooting investigation with Johnson. The release of these documents comes just as jury selection was completed in the upcoming civil trial. Chicago police were called to LeGrier’s West Side home following a domestic disturbance call in the early morning hours of Dec. 26, 2015. Within one minute of arriving on the scene, Rialmo shot and killed both LeGrier and 55-year-old Bettie Jones, his unarmed neighbor. LeGrier was reportedly holding an aluminum baseball bat, which Rialmo said he swung at him, prompting the shooting. Jones was accidentally struck and killed by an errant bullet Rialmo fired during the incident. Another officer on the scene later described what happened as “a pure ambush” by LeGrier. Rialmo was not criminally charged for his actions. A COPA investigation determined LeGrier didn’t swing the bat at Rialmo, ruling the shooting was “not within policy.” Johnson disagreed with that finding, and the Chicago Police Board is still determining whether Rialmo should be fired. The judge in the civil case ruled earlier this week that Jones’ death can be mentioned at the civil trial, but attorneys may not make reference to the $16 million settlement the city and her estate reached earlier this month. Emanuel said he has not reviewed documents from either COPA or Johnson as they relate to the case beyond what has been in the media. Beyond COPA, Emanuel was also questioned about potential police cover-ups and a so-called “code of silence” among officers. The wrongful death trial is scheduled to begin next week.